China based Olansi Healthcare Co., Ltd is a professional manufacturer of hydrogen water machines for producing hydrogen rich and healthy water for humans. Human body is made of 70% of water. This is the reason why water is an important component for humans to help maintain good health and vitality. For every human being, safe and contamination free potable water could be the key to their disease-free lifestyle. Olansi Healthcare Co., Ltd allows people to produce safe and healthy drinking water at home with the help of their hydrogen water machines. The company has introduced the hydrogen water maker in 2016, which is now available for the global supply. The machine can produce hydrogen enriched water for human consumption. Olansi Healthcare Co., Ltd has achieved the ISO9001:2008 certification and the machine has been certified by the National Drinking Water Product Health Safety in China. 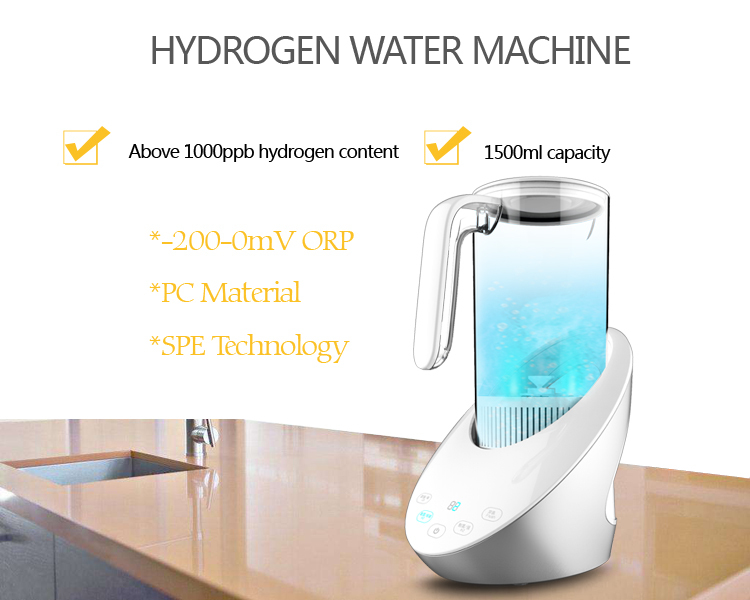 With its excellent design, it can visualize the electrolysis process and a consumer can realize the benefits of drinking hydrogen-rich water. The hydrogen water generator comes with a touch control for a user to shut down the electrolysis process when needed. Made of a high strength plastic, the water maker is durable. At the same time, the plastic container is environment-friendly and toxin free. The spokesperson of the company reveals that the body of the container is made of Eastman Tritan plastic, which has a very high temperature resistance and the bottle is also easy to clean. According to the spokesperson, with a super electrolytic capacity, the hydrogen water machine can allow maintaining a high hydrogen concentration level that helps humans to maintain their youthfulness and good health. Besides enriching with hydrogen, the water machine can also eliminate bacteria, organic compounds, heavy metals and other impurities from water. It can also remove free radicals and can deliver pure water that meets the WHO’s guidelines. Research shows that the water pollution is rampant in different parts of the world and drinking water is not safe for humans. The hydrogen water bottle designed by Olansi Healthcare Co., Ltd is a simple and affordable option to get the continuous supply of healthy drinking water at home or workplace. The company also provides OEM and ODM services to produce hydrogen water machines for different enterprises that want to provide safe drinking water to their workers and employees. One can learn more about the water machine and its specialties by visiting the website http://hydrogenwatermaker.net. Established in 2009, located in Guangzhou City in South China, Olansi Healthcare Co., Ltd is a professional air purifier OEM manufacturer. The products of the company contain air purifier, home air purifier, HEPA air purifier, ionizer air purifier, car air purifier, room air purifier and so on. All OEM air purifiers are manufactured in accordance with the CE, ROSH, and CB Certification. Posted in Air Purifier Technology and tagged high-rich hydrogen water maker, hydrogen rich water maker, hydrogen water maker, olansi hydrogen water maker.